Ambassador Mbaye is the ECOWAS Special Representative in Cote d’Ivoire. He was born on the 31st of December 1952 in Kaolack, Senegal. 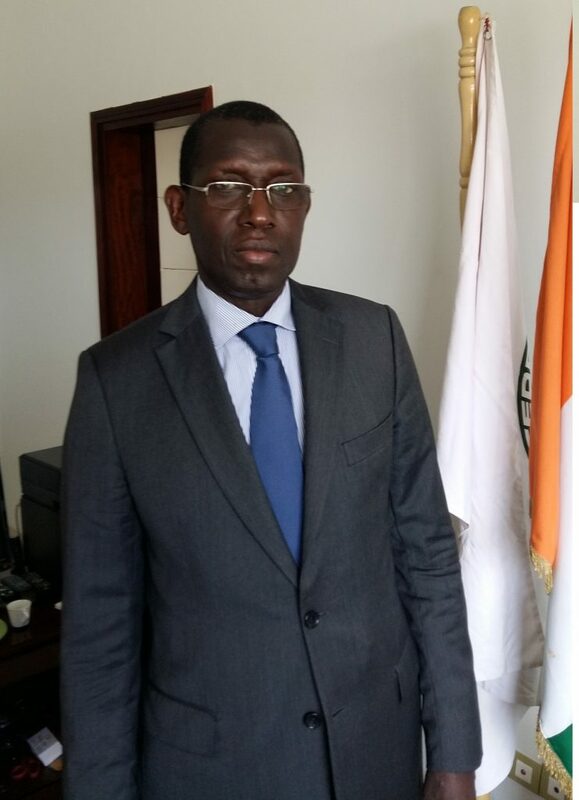 A distinguished legal expert and international bureacrat, Mbaye has been accorded the status of a senior diplomat, having been admitted to the Corps of Advisers on Foreign Affairs in Senegal. He holds a Diploma (Brevet) in Magistracy from the National School of Administration (ENAM) in Dakar in 1977, having earlier obtained a Master’s Degree 1 in public law specializing in International Relations at the University of Dakar in 1975. Before then, he had been awarded a Diploma (Duel 1&2) in Literary Studies (English) in 1974 and 1975 at the University after his Bachelor’s Degree in Literary studies was completed in 1971. Mbaye had also been a lecturer at the National School of Administration and Magistracy (ENAM), Diplomacy Section) where he functioned as Diplomatic Editor and mentored students on Diplomatic Law and Practice as well as International Negotiations. Ambassador Mbaye has a rich professional and administrative experience. Before his current appointment, he was the Political Adviser to the President of the ECOWAS Commission having been appointed on the 9th of November 2013. Prior to that time, he was the Director, Office of Internal Control of the Organization for the Prohibition of Chemical Weapons between January 3rd 2011 to November 9th, 2013. His vast diplomatic experience began in August 1977 as Head of Division, Ministry of Foreign Affairs, (Legal and Consular Affairs between August 1977 to August 1980 when he was appointed First Counsellor at the embassies in Sweden, Belgium and Morocco serving up to 1985 in that position. Between November 2007 to 31st December 2010, he was the Ambassador of Senegal to Switzerland and Permanent Representative to the UN Office and other international organizations in Geneva, Switzerland. He was the Ambassador of Senegal in Ankara (Turkey), from July 2006 to October 2007 after being Diplomatic Advisor to the President of the Republic of Senegal from August 2005 to July 2006. He was part of the team of the United Nations observers to the Joint Commission set up to implement smoothly and equitably, the judgment of the international Court of Justice on territorial disagreement between Nigeria and Cameroon. He had been the Director at of Cabinet of the Minister of Presidential Affairs and Services of Senegal from June 1993 to January 1998 functioning in a role that is akin to that of the Diplomatic Advisor to the President of his country. Ambassador Mbaye has a basic knowledge of classic Arabic. He is married with two children. Previous PostECOWAS holds Mediation and Security Council meeting at the Ambassadorial level towards Regional Peace and securityNext PostECOWAS Holds Annual Wrestling Tournament in Dosso-Niger.